Judge Debra H. Goldstein is the author of Should Have Played Poker: a Carrie Martin and the Mah Jongg Players Mystery and the 2012 IPPY Award winning Maze in Blue, a mystery set on the University of Michigan’s campus. Her short stories and essays have been published in numerous periodicals and anthologies. Learn more about Debra and her books at her website. Can we talk? 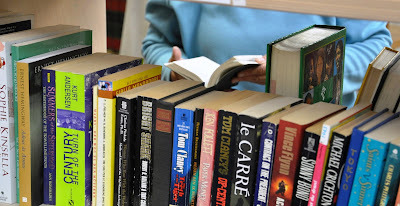 I mean, after all, this is a Book Club Friday on Lois Winston’s blog, but here at Sunshine Village Retirement Center we talk about everything when we get together. We do that no matter whether it is Book Club Friday, Mah jongg day or you name it. Luckily, because we have a lot to say, Sunshine has daily activities thanks to the staff and our own Carolyn Holt. Carolyn used to be the children’s librarian at the Wahoo, Alabama Library but since she moved into Sunshine Village, she’s become the place’s greatest cheerleader. She spurs all of us to participate in everything she creates. The staff and the residents love her. I go to the Book Club meetings to pass time. I like them well enough, but my passion is my Thursday Mah jongg game. I’ve played Maj with the same group of women since we were newlyweds. Back then, we all had young children and owned houses on Diaper Row. Our houses got bigger, the kids grew up, and eventually we all moved into Sunshine Village. After having been in a weekly game for almost forty years, I figure I’ve eaten at least 400 slices of Karen Berger’s marble swirl pound cake. It’s delicious. Far better than the stuff I put out from the grocery store when I host the game. That’s right. We take turns having the game every fifth week. I invite everyone to my apartment, but a couple of the players, who only have a room here at Sunshine Village, use the game room. I’m not wild about playing there because it always has a table of men playing poker and sometimes they get a bit loud. Their noise and rudeness is one of the reasons I prefer my larger independent living apartment. The other reason is I haven’t felt completely safe since poor Charlotte Martin was murdered in Carolyn Holt’s room – just a few hours after Charlotte came back into her daughter’s life. Charlotte was gone for twenty-six years before she showed up out of the blue at her daughter Carrie’s corporate legal office. According to Carrie, they talked and Charlotte left Carrie with a sealed envelope and the knowledge she once thought about killing Carrie’s father. How anyone would want to harm the former minister of the Oakwood Church is beyond me, but I’m getting off track because before Carrie could talk to her father, her mother died. Carrie is at odds with the detective on the case. She doesn’t want me to know that he used to be her live-in lover, but there aren’t too many secrets in Wahoo and I’m good at getting to the bottom of those that do exist. That’s why I’m glad Carrie finally agreed to let me and the other Mah jongg players help her find out who killed her mother. Maybe, if we succeed, she’ll take an interest in my son. He’s not a doctor, but he is an excellent lawyer and sadly, an eligible thirty-year-old widower. Instructed to leave the sleuthing to the police, Carrie's continued efforts to discover why someone would target the two most important women in her life quickly put her at odds with her former lover--the detective assigned to her mother's case. 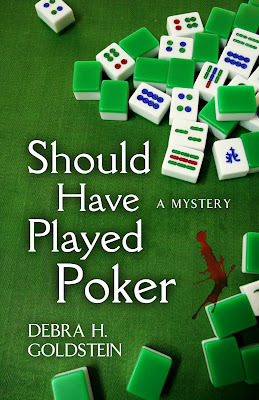 As Carrie and her co-sleuths, the Sunshine Village Mah jongg players, attempt to unravel Wahoo, Alabama's past secrets in this fast paced cozy mystery, their efforts put Carrie in danger and show her that truth and integrity aren't always what she was taught to believe. 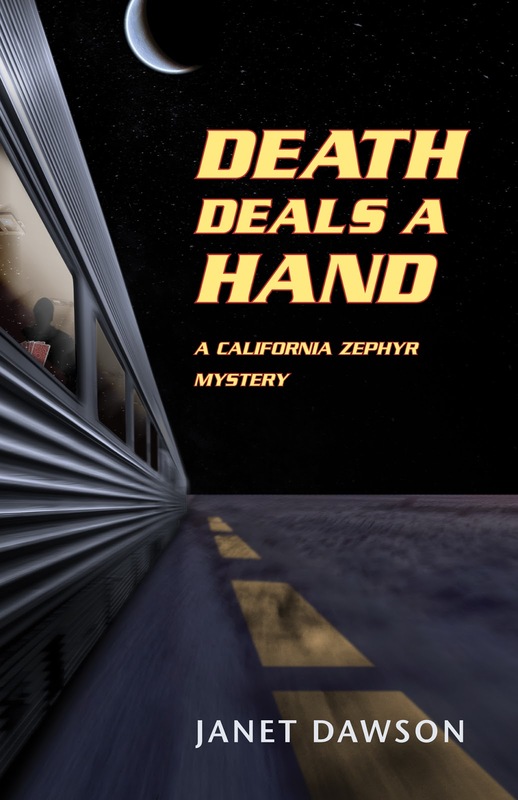 Janet Dawson has written two novels featuring Zephyrette Jill McLeod – Death Rides the Zephyr and the latest, Death Deals a Hand. She is also the author of twelve novels with Oakland PI Jeri Howard, most recently Cold Trail, a standalone suspense novel, What You Wish For, and numerous short stories. Learn more about Janet and her books at her website. I’ve written two books in my historical mystery series featuring Jill McLeod, who is a Zephyrette. I can see the puzzled look on your face. What’s a Zephyrette? 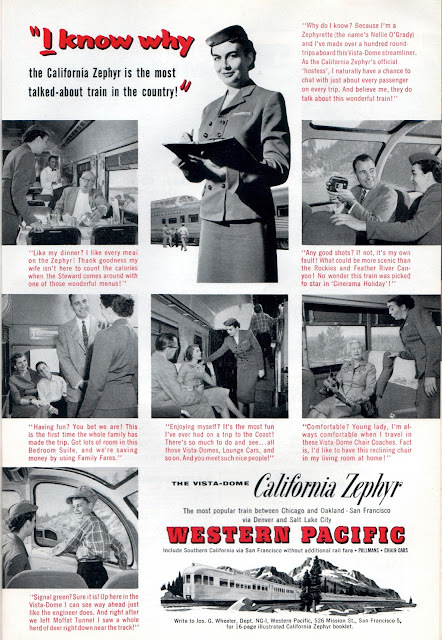 A Zephyrette is a train hostess, something like an airline stewardess, or flight attendant, as we call them now. Many of the luxurious streamliner trains of the post-World War II era had such attendants, but only aboard the train called the California Zephyr were these young women called Zephyrettes. The California Zephyr was jointly operated by three railroads, from 1949 to 1970. The trains ran daily between San Francisco and Chicago, through spectacular scenery in the Sierra Nevada and the Rocky Mountains. The journey took two and a half days, and the Zephyrette was onboard for the whole trip. My books are set in December 1952 and April 1953. Dwight Eisenhower had just been elected president. The Korean War was still raging. It had been less than eight years since the end of World War II. Rock ’n roll was in its early days. It’s the heyday of train travel, before everyone had one or two cars and the interstate highway system was built. Air travel wasn’t as common. 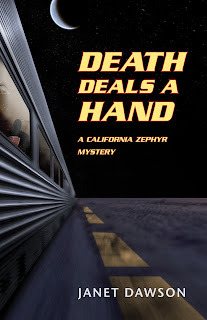 Jill, the protagonist of Death Rides the Zephyr and Death Deals a Hand, is the only female member of the crew. Her job is to keep an eye on things during the journey, make announcements, and cater to the passengers’ needs, keeping them comfortable and happy. She walks through the train every few hours and observes what’s going on aboard the train, alert to any potential problems, ready to provide solutions. Who would be better placed to do some amateur sleuthing? In the course of two books, Jill has done her share, wielding those problem-solving skills. Want to send a telegram from the Western Union office at the next station? The Zephyrette would take care of that. Reservations in the dining car? Check. Apply first aid to that scrape on your kid’s knee after he takes a tumble off his seat? Check. Want to find out who killed the passenger, and why? Jill does that, too. How did someone like Jill become a Zephyrette? She was required to have a college degree or nurse’s training, have a good character and be unmarried. Jill is all of these. She’s a graduate of the University of California. She was planning to get married but those plans were derailed. She didn’t want to teach or work in her father’s office. Riding the rails on the California Zephyr looked like a good plan for Jill, until she decides what to do with the rest of her life. Writing the books was great fun and involved roaming around on historic trains as well as taking the Amtrak version of the California Zephyr, which has a different route through California but the same route between Winnemucca, Nevada on to Chicago. I can read about Ruby Canyon in Western Colorado, but there’s no substitute for seeing it from the train, with the setting sun turning the cliffs red. It’s wonderful to wind through Gore Canyon deep in the Colorado Rockies, with the nearly frozen Colorado River just below the tracks. There’s also no substitute for primary sources, in this case two former Zephyrettes living in my vicinity. One of these ladies worked on the trains in the late sixties, the other in the early 1950s, the time period I was writing about. One evening I met these two ladies and sat with them as they talked over old times and memories of their travels aboard the California Zephyr. The material I got was invaluable, and I hope it rings true in the books. So meet Jill McLeod, the Zephyrette. All aboard for adventure! 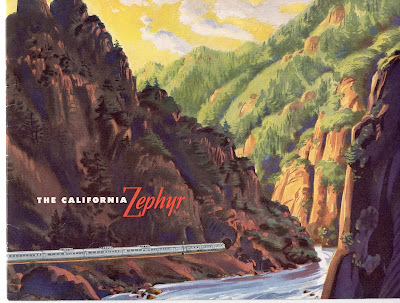 Zephyrette Jill McLeod is back on the rails, aboard the fabled train called the California Zephyr. Heading west from Chicago to the San Francisco Bay Area, Jill looks forward to reuniting with family members and the new man in her life. She’s learned to expect and deal with just about anything on the train, from troublesome passengers to long-lost relatives to high-stakes poker games. But the stakes just got even higher: Death has a seat at the table. Today is National Pretzel Day. Yes, there truly is such a holiday, albeit an “unofficial” one. It began in 2003 when then Pennsylvania’s governor Ed Rendell declared April 26th as National Pretzel Day because pretzels have been such an important part of the state’s history and economy. No one knows for sure the exact origin of the pretzel. There are several differing accounts, but most people attribute its creation to Christian monks. One claim is that in 610 AD an Italian Monk invented pretzels as a reward for children who learned their prayers. The strips of baked dough were folded to resemble arms crossed at the chest and called “pretiola,” which means little rewards. Another source claims the pretzel hails from a monastery in southern France. A third claim says the looped pretzel was related to Greek Ring bread used for communion in monasteries a thousand years ago. Pretzels were introduced to North America in the 19th century by Pennsylvania Dutch immigrants (who were actually from Germany, the “Dutch” a corruption of “Deutsche,” which is German for German.) Many of these immigrants settled in Pennsylvania and began operating handmade pretzel bakeries. The pretzel’s popularity quickly spread. In the 20th century soft pretzels became a staple sold on Philadelphia street corners. The average American eats about a pound and a half of pretzels a year, but the average Philadelphian eats twelve times that amount. Philadelphia even boasts a Pretzel Museum. 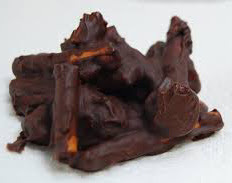 Although pretzel popularity quickly spread throughout the country in the 20th century, Pennsylvania remains the center of the $550 million dollar American pretzel industry, producing about 80% of the nation’s pretzels. Line a baking sheet with waxed paper. In a medium size bowl, stir together dried fruit, pistachios, and pretzels. Design measures approximately 1-3/8" x 1-3/8" when stitched on 14-ct. fabric or on 28-ct. evenweave or linen worked over two threads. Suggested fabric colors: white, antique white, Fiddler's Cloth, coffee, beige, or your choice. Cross stitch with two strands floss. Backstitch and French knot with one strand black (DMC 310/Anchor 403). Mari Manning is the author of several contemporary romances and three romantic suspense novels set in the Texas Hill Country. 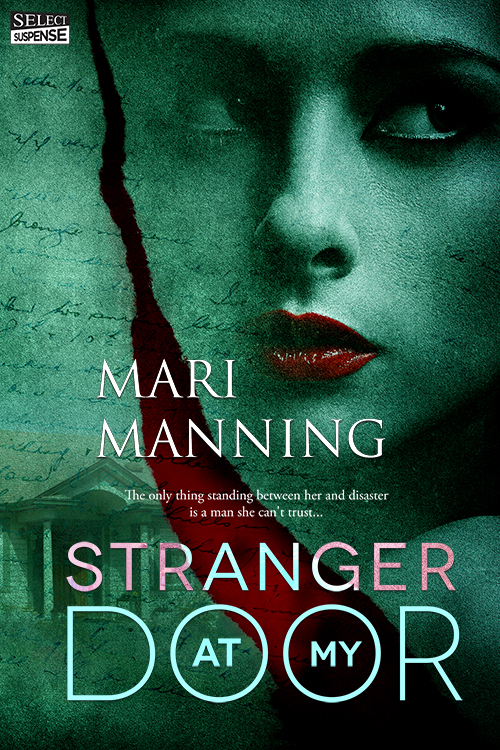 Stranger at My Door is the first in her A Murder in Texas series. The second, Stranger in My House, later this year. Learn more about Mari and her books at her website. attended one of those old Catholic colleges located in the middle of a large Midwest city. For a restless suburban girl whose most traumatic experience was watching her Siamese cat murder the chick she’d just brought home from biology class, living in a down-at-its heels neighborhood on the edge of a major downtown was an adventure. On a side street near the campus, I found a little occult shop one day. I was a good Catholic girl who did not subscribe to ghosts, Ebenezer Scrooge not withstanding. Still, I hesitated to poke my head inside although I was curious. So I walked past. A few days later I strolled by the shop again. I did not go in. The third time I approached, a beautiful girl came out. Tall and slender, jean shirt, paisley scarf tied in her long hair and college knapsack hanging from her shoulder. Lots of books, lots and lots of rocks, incense and tie-dye. Ordinary stuff, but I kept my arms at my sides and touched nothing. At one point, I had the urge to make the sign-of-the-cross, but restrained myself. A girl with black hair and makeup and wearing a tie-dyed T-shirt stood at the counter. “Just looking.” That never sounded so stupid. I realized I wasn’t afraid of the stuff in the shop, I was afraid of connecting with the people in the shop. Magic was hocus-pocus. I knew it. Nevertheless, now that I had been discovered, I began to meander purposefully toward the door. She held up a small red box. “Tarot cards,” she said. “Lots of fun at a party.” She cracked a smile. Literally. “How much?” I was an impoverished student. Was it those mysterious rocks or the patchouli-drenched air or her pale eyes peering at me through a thick circle of eye shadow? I don’t know. But I plunked down my beer money and bought them. She was right. They were fun. But they were also revelatory. People open up when you guess at their lives. When you face them one-on-one and say, “Let’s talk about you,” it is universally agreeable. Were the cards magic? Not in the way you might imagine. But, if you can sense a melancholy air, you might guess someone is sad or preoccupied. A man who is older than the other students and limps might be a veteran. A girl with a Polish accent might have had a rough journey. You hint at those possibilities, and they see a chance to explain themselves or share what they cannot say elsewhere. The cards establish an intimacy, and I’ve treasured all the stories I’ve heard while “reading” tarots. After college, as I began to write, I found my muse returning to that box of cards and the lives it opened up for me. I gave some of my characters the same gift. Dinah Pittman in my recently released romantic suspense, Stranger at My Door, reads tarot cards. I have started a mystery series in which my sleuth, Lousann Linkous, is a tarot card reader who lives in an old house and has a neon sign in her front window. A character in my second romance, Angel Without Wings, is based on the veteran I met at a party in college. I’ve never been back to the occult shop or entered another one. I never saw the beautiful girl again, although she must have gone to my college. I’ve passed other shops and always thought, No need to stop. I got what I wanted the first time. Susan Van Kirk is the author of the Endurance mysteries and also a memoir about teaching, The Education of a Teacher (Including Dirty Books and Pointed Looks.) Learn more about her and her books at her website/blog. Thank you, Lois, for inviting me to write about the setting of my mysteries—the small town of Endurance. A common thread throughout the centuries of this small town’s history is its secrets. As Grace Kimball, recently retired teacher, travels through her small town of Endurance, she sees former students—now adults—and remembers them as adolescents. For example, she notices Patrick Gilmore carrying a briefcase, and remembers he slipped out the back door during gym class and smoked pot. And sold it. Now he’s selling legal drugs for a big pharmaceutical company. Who says high school doesn’t get you ready for the real world? In Three May Keep a Secret, the first mystery, it’s summer. (Ben Franklin wrote: “Three may keep a secret if two of them are dead.”) The schools just let out, Gimbles Paint and Wallpaper Store has a “huge extravaganza sale” in progress, flower pots are overflowing in front of the businesses, and the first café of the summer is about to start. Grace is having lunch with her friends, Jill and Deb. Joining them is TJ Sweeney, former student of Grace’s and now detective. Little do they know on this beautiful blue-skied day, that in the next few weeks two murders will occur, and even Grace’s life will be put in danger. A terrifying event from her past may come back to haunt her. Each of my four stories about Endurance, Illinois, (population 15,000), occurs as the Midwest seasons change. The second book, Marry in Haste, will be published this November, and it spans the winter months, a time when readers wonder why anyone would want to live in the bitter cold and snow of the Midwest. But first I slipped in an e-book novella, launched a week ago, and called The Locket: From the Casebook of TJ Sweeney. My biracial, 39-year-old detective has a cold case on her hands from the 1940s. Endurance’s history plays a key part since the victim was last seen at the Roof Garden, a popular dance venue on the roof of a four-story office building in downtown Endurance. The big band era, the jitterbug, and romance in the air were the last images the victim saw. Now TJ Sweeney must comb through a dark chapter in the town’s history to identify the victim and killer. I went back to a second Ben Franklin proverb for my title, Marry in Haste (Repent at Leisure.) This setting was so much fun to explore because one plot takes place in 1893. Grace’s love interest, Jeff Maitlin, has bought a huge Victorian home. In renovating and restoring the house, he and Grace find the diary of Olivia Lockwood, a young wife who lived there in the 1890s. I had such fun drawing a new map for the town with stores that might have been there in 1893—milliners, dressmakers, dry goods, public halls, gunsmiths, livery stables, tailors, and reading rooms. Murders occur—one victim is a high profile, current-day banker whose lineage goes back to the early 1900s—and a second murder victim is a judge in the 1890s plot. They’re tied together in a unique way. Once again, Grace and TJ investigate the twists and turns of their little town’s history—in the past through a diary, and in the present through family secrets. The third mystery, Death Takes No Bribes, will be out next year, and it treats the reader to the culture of Endurance High School, Grace’s old workplace. Again, the winter months prevail, but spring isn’t far off. Unfortunately for the town, their principal dies prematurely—well, with a bit of help. [My apologies here to all those principals for whom I have worked.] The building itself is full of nooks, crannies, hiding places, dark corners, and secrets. And before the story is over, past history and current school atmosphere will come out of the shadows and provide TJ with the killer’s motive. Grace, of course, has to jump into this investigation since her former colleagues are living in fear. The town has a huge role in this mystery also. As Grace waits for a fellow teacher at The Coffee Bean on the Square, she looks out into the dark night and sees the warm glow of three creamy, round globes on the top of each lamppost, their radiance reflecting on the Square. The Endurance Public Library, a light burning over the entrance, reminds her of the hours she spent there with her three children after the early death of her husband. Gimble’s Paint and Wallpaper Store is also on the Square, and Grace laughs as she recalls Mandy Thompson answering the phone with, “This is Mandy. How may I help you color your world?” Only in Endurance. 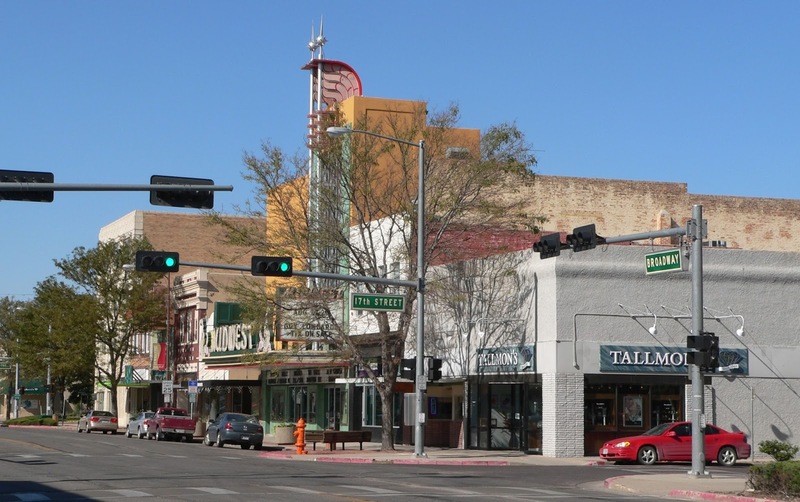 It’s a small, Midwestern town with light and life and friends and history, but beneath the laughter and comforts of home lie secrets and a past that twists and turns through each of my Endurance mysteries. A decades-old murder becomes Detective TJ Sweeney’s most personal and tragic case. Good and evil, tolerance and bigotry lie at the bottom of TJ Sweeney’s latest case in the small town of Endurance. TIP OF THE DAY--BABY POWDER TO THE RESCUE! Baby powder has fallen out of use for most parents. However, even if you no longer sprinkle it on infant bottoms, baby powder has a multitude of uses. One of them is something I know will benefit many of our readers. Those of you who read this blog because you’re fans of genre fiction probably have bookcases filled with your “keeper” books, those books that you’ve read over and over again throughout the years and can’t possibly part with because they’re your favorites. The problem with books, though, is that after a few years they begin to smell musty, especially if you live in certain climates. And if you have allergies, that musty smell is probably preventing you from enjoying that favorite read. Baby powder to the rescue! To rid your books of that mustiness, sprinkle baby powder on the pages. Place the book in a plastic bag, and let it sit for a week. Then shake or brush out the powder. The musty smell will be gone, and you’ll once again be able to spend time losing yourself with your favorite characters. 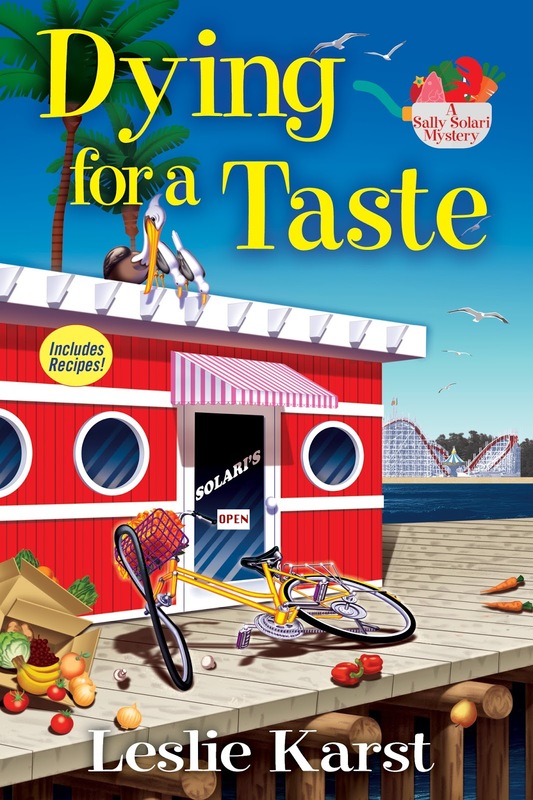 Leslie Karst is the author of the culinary mystery, Dying for a Taste, the first of the Sally Solari Mystery series. A former research and appellate attorney with a degree in culinary arts, Leslie now spends her days cooking, gardening, reading, cycling, singing alto in the local community chorus, and of course writing. Learn more about Leslie at her website. My protagonist, Sally Solari, is a fourth-generation Italian, and her family owns an old-style Italian restaurant out on the wharf in Santa Cruz, California. So this recipe—which features Italian string beans and has the same colors as the Italian flag—seemed appropriate to share with you today. Mix the feta cheese and tomatoes together in a bowl with the olive oil. Add salt and pepper to taste (go easy on the salt, as feta cheese is already quite salty). Set this mixture aside on the counter, and stir it every half hour or so. After a couple hours it will be well incorporated, and you can refrigerate it (but be sure to take it out again a half hour before serving, as the oil can congeal in the fridge). Next, blanch the beans. If they have strings, de-string them. Keep them whole. Get a large pot of salted water boiling, and drop in the beans. Let them cook for just a few minutes (2-5, depending on how many beans there are). You want them to still have a bit of bite to them. While they’re blanching, get ready a colander and a pan of ice. Pour the pot of cooked beans into the colander, and then dump the drained beans into the pan of ice, and add cold water. Stir the beans around with your hands to cool them off as quickly as possible (but be gentle, so you don’t break them). By stopping the cooking right away like this, the beans will retain their bright green color. Once cool, put the beans back in the colander to drain (or you could lay them on a dish towel, instead). When the beans are dry, toss them with olive oil and salt and pepper, and put them in the fridge until time to serve. To plate up the salad, lay out the beans lined up together. Then, after giving it one last stir, top the beans with the feta/tomato dressing. 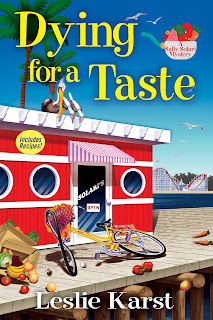 After losing her mother to cancer, Sally Solari quits her job as an attorney to help her dad run his old-style Italian eatery in Santa Cruz, California, but soon finds that managing the front of the house is far from her dream job of running her own kitchen. Marissa Doyle got distracted on her way to becoming an archeologist. But she’s put her passion for history into writing historical fantasy for teens and adult...just don’t ask her where the fantasy elements come from. Learn more about her books at her website/blog and at her teen history blog. I'm a writer. I'm also a crafter who loves anything to do with fabric: I sew (both clothes and home decor), upholster, do fabric decoupage, and most of all, quilt. My "office" (okay, the guest bedroom, but thank heavens all my family lives only about an hour away or I'd be in deep doo-doo) is divided more or less in half: one part has my desk, computer, filing cabinets, and bookcases full of reference materials. The other half has my sewing machine, cutting table, ironing board, design wall, and the large bins containing my fabric stash. It works out pretty well: if I get stuck while writing and need to think about a plot point or a character's reaction to an event, I can just get up from my desk, go over to my sewing machine, and chain-piece some half-square triangles for my current quilting project to give my brain a chance to work on the problem without really thinking about it. When I have it figured out, I go back to my desk. Win-win situation! I like to joke that of my two passions, writing wins because it doesn't leave threads all over the carpet. And yes, it's pretty funny that one side of my office has a nice clean rug and the other side is generally less so. But then one day, the two halves blurred together. I got an idea for a novel in which quilting played a major role. And because a little fantasy or magic creeps into everything I write, I wasn't just going to write about plain old quilts--no, mine were going to contain magic, unwittingly pieced into them by my heroine who has no idea she is doing so...until one of her quilts traps the evil entity terrorizing her small Cape Cod town and saves the selkie she’s lost her heart to. Several types of quilts make an appearance in Skin Deep, but I knew the most important quilt in the book would have to be my favorite design, Storm at Sea. A Storm at Sea Block is made up of squares and rectangles set in such a way as to give an illusion of curves without actually including any curved seams, which can be tricky to get right. The resulting quilt has a strong sense of motion, almost like the surface of a restless sea. From what I’ve been able to find, it’s not all that old a block design—probably early 1900s—but it has inspired some breathtakingly beautiful quilts. It’s also a very versatile block: playing with the color arrangement in the blocks can lead to very different looking quilts. Plug “Storm at Sea Quilt” into Google Images or Pinterest and see what turns up: it’s pure eye candy. Feeling inspired? I’ve got three Storm at Sea patterns for downloading on my website; get out your markers and colored pencils and see what you can do...or what quilt magic you can create. As for me...like my heroine in Skin Deep, Garland, I have more than one stash box of blue fabrics because I can’t resist blue...and one of these days, I’ll be bouncing over to do some piecing on a Storm at Sea quilt while I work on my next book. 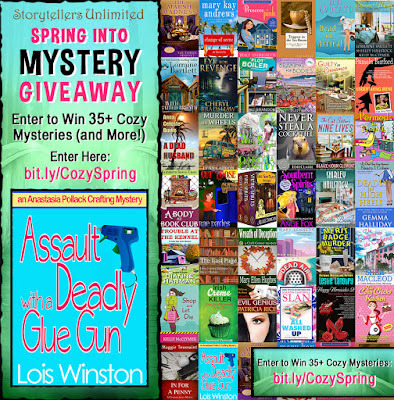 There's still time to enter the Spring into Mystery Giveaway for the chance to be one of two winners who will receive more than 35 cozy mysteries PLUS a Kindle Fire, but time is running out. One of the books available will be Assault With a Deadly Glue Gun, the first book in the Anastasia Pollack Crafting Mystery series. To enter, all you have to do is go here, but do it before the end of Monday or you'll miss out. Anastasia here! 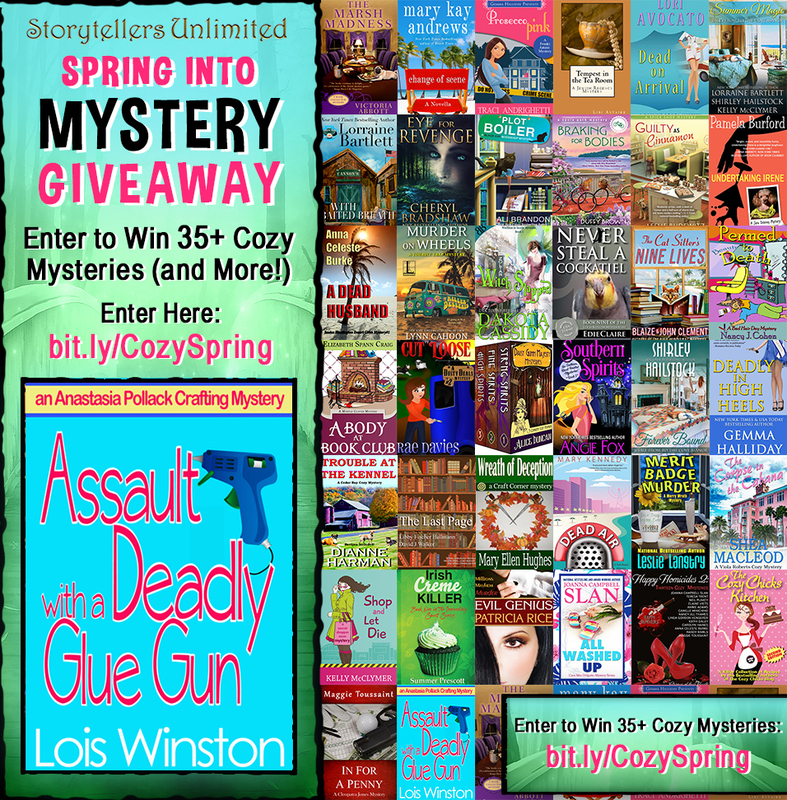 If you love mysteries, you’re going to love this! Author Lois Winston, she who created moi, recently got together with nine of her writing buddies to join her in a project she’d had percolating for some time. It turns out that there are actually mystery readers out there who have never heard of me. Can you imagine? So Lois figured if that was the case with me, the same was probably true for the sleuths her friends had created. We sleuths want readers to know about our exploits. We’re proud of the cases we’ve solved, especially when we figure things out well before the cops. So Lois thought, what if she gathered together the first books in ten established mystery series and bundled them together into one awesome ebook boxed set? And what if she then priced that set of ten books at an incredible bargain? Wouldn’t that tempt mystery readers to get to know all of us? So that’s exactly what she did. 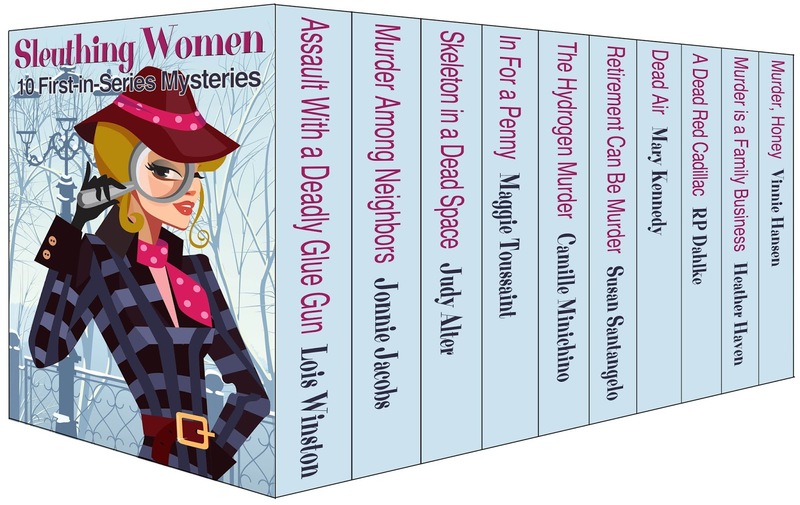 Sleuthing Women: 10 First-in-Series Mysteries is currently available for pre-order and will go on sale May 1st.